This thread is going no where just the same ping pong game going back and forward. Could you gentlemen post some new content please. This is the same crap that got you banned for a short while. Depth Check said he was going to keep an eye on you and yet you continue. Please desist and post something worth while. If I could suggest to the posters to read through those comments instead of continual repeating the arguments and if possible come up with something new. 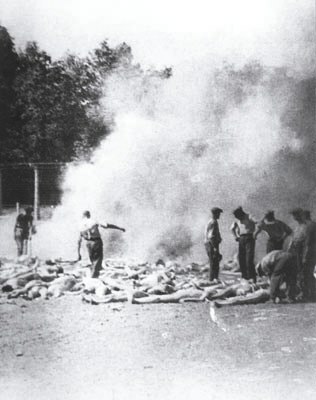 the Germans dug up and burned the bodies. The Scientific Method would decisively prove that there was such thing as a Holocaust. The TV Show used the Holocaust photo for their purposes, not vice-versa. What's that woman supposed to mean? Her body can (of-course) be in that position if put with carelessness. BTW, just call me G. Marius. Q: Has it ever been proven that no less than 600,000 jews were killed at Belzec? Q: Has it ever been proven that no less than 550,000 jews were killed at Belzec? Q: List all of the Belzec graves / cremation pits in question ( http://nafcash.com/ ) that you can prove currently contains at least one un-burnt body: __?__. Q: List all of the Belzec graves / cremation pits in question ( http://nafcash.com/ ) that you can prove currently contain at least an iota of human remains: __?__. Last edited by Nisco on Fri Jan 18, 2019 6:30 pm, edited 1 time in total. Will check it out and see what's what. Q: List all of the Belzec graves / cremation pits in question ( http://nafcash.com/ ) that you can prove currently contain un-burnt bodies: __?__. Okay, so if some bodies didn't have to get burned, don't you think that, well, someone would have cleaned them up by now?